Testimonials for my Spiritual Work – Readings, Classes, Meditations, Spiritual Sessions and More! If you would like to give any feedback about a reading, healing or spiritual session please email me with it. Feedback enables me not only to improve my service but helps new customers get a feel of how I work. 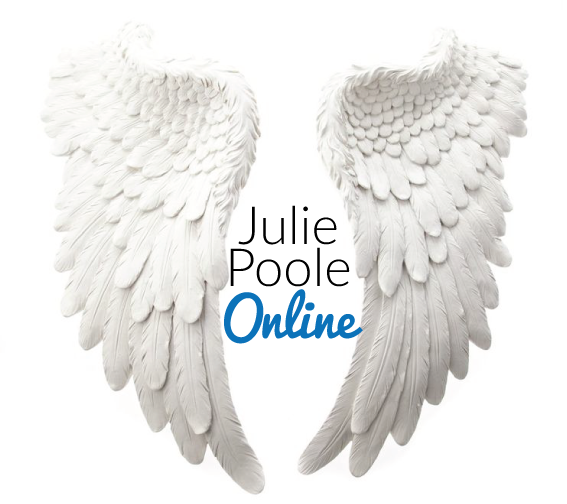 “I booked a series of 1-2-1 sessions to discuss spirituality with Julie. I wanted to understand how my beliefs fit in with a spiritual way of life. Julie has a relaxed and friendly manner she explained the different aspects of spirituality we spoke about so well it has led me to put many of these concepts into practice. Since then I have learnt Reiki with Julie and am now a Reiki practitioner, again Julie’s knowledge and teaching methods made Reiki a joy to learn and is a part of my everyday life now. Learning from Julie has been a life changing experience. “Thank you so much for the circle last night. I wanted you to know that I was feeling tense (hence the massage request) and had pains in my shoulder. Last night I slept so well, and woke up with a huge sense of peace as if I had spent the night back in the angel hospital (or Angel Spa as I have now named it.) The shoulder pains have gone now. Your circles are so , what word can I find to describe it, I’ll have to make one up, as I’m not sure what it is, but the energy is so lovely and continues for a long time afterwards. Please can we go back to Angel Spa again sometime?. I suppose I can go on my own but it’s nice to be able to go with the group. Thank you Julie, and peace be with you too today, and always.